Over the weekend, we finally handed over Nat's Honda Accord and as part of that process, I had to clean it out. I'd be the one who most recently drove the car, but it hasn't been regularly used for a number of years. We bought our first larger car back in the fall of 2009 and that's when this car became the '2nd car' and we got rid of my very first car - my Toyota Camry. When we got the van last year, the Accord got parked and stayed there until this weekend. 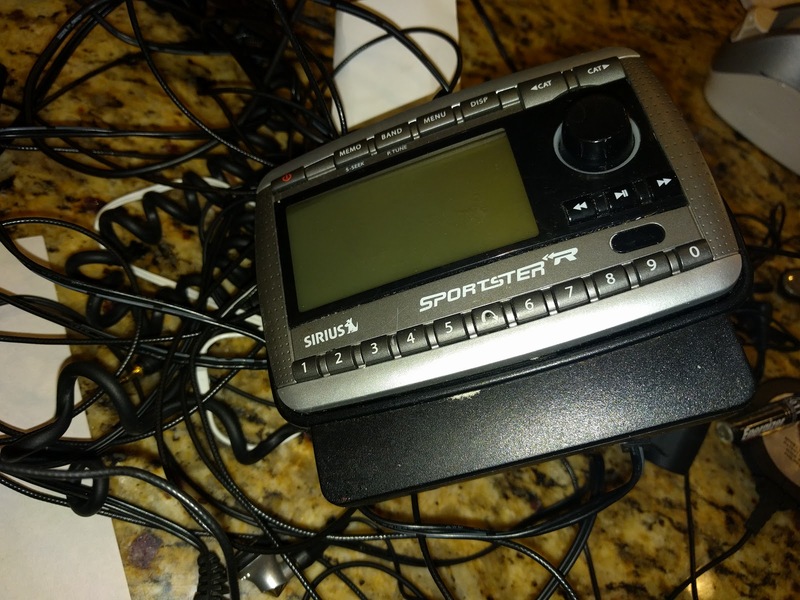 Amongst the things I peeled out of the car was this Sportster Sirius radio. I still remember how Natalie gave it to me for Christmas back in December of 2004 when Howard Stern was about to make the move to Sirius. It spent some time suction-cupped to the dashboard of my Camry, then quickly was relegated to the cupholder. Once I upgraded to the newer Accord, the Sportster came with me. Lots of laughs were had with this thing. But now, it's time has passed. Between in-car Sirius and the mobile phone app + bluetooth connectivity today, the idea of a separate satellite radio transmitter seems downright quaint. But this was state-of-the-art at some point. And the only way I could get what I wanted: mornings with Howard Stern. Almost seems like a vestige of my bachelorhood is going away. More than the radio, this makes me think about the passing of time - and vehicles - and look forward to even more yucks with Howard and the gang.